سواءً كنت مسافراً بغرض السياحة أو العمل, فندق سوفيتيل أوكلاند فيادوكت هاربر هو خيار عظيم للإقامة خلال زيارتك أوكلاند. يمكن من هنا للضيوف الاستمتاع بسهولة الوصول إلى كل ما تقدمه هذه المدينة النابضة بالحياة. سوف يعشق النزلاء موقع هذا الفندق، فهو قريب من أهم المعالم السياحية في المدينة كمثل ‪America's Cup Village‬, فكتوريا بارك, ‪Viaduct Harbour‬ . إن الخدمات التي يقدمها فندق سوفيتيل أوكلاند فيادوكت هاربر تضمن للنزلاء إقامة مريحة. يقدم هذا الفندق العديد من الخدمات الكفيلة بإرضاء أكثر الضيوف تطلباً. تنعكس أجواء فندق سوفيتيل أوكلاند فيادوكت هاربر في غرف الضيوف.تلفزيون بشاشة مسطحة, غرف لغير المدخنين, مكيف هواء, تدفئة, خدمة الإيقاظ هي بعض الميزات الموجود في العديد من الغرف. يقدم الفندق مجموعة رائعة من الخدمات كمثل حوض استحمام ساخن, مركز للياقة البدنية, حمام سباحة داخلي, سبا، لجعل إقامتك تجربة لا تنسى. إن فندق سوفيتيل أوكلاند فيادوكت هاربر هو خيار ذكي بالنسبة للمسافرين إلى أوكلاند، بما يوفره من إقامة هادئة ومرحة. 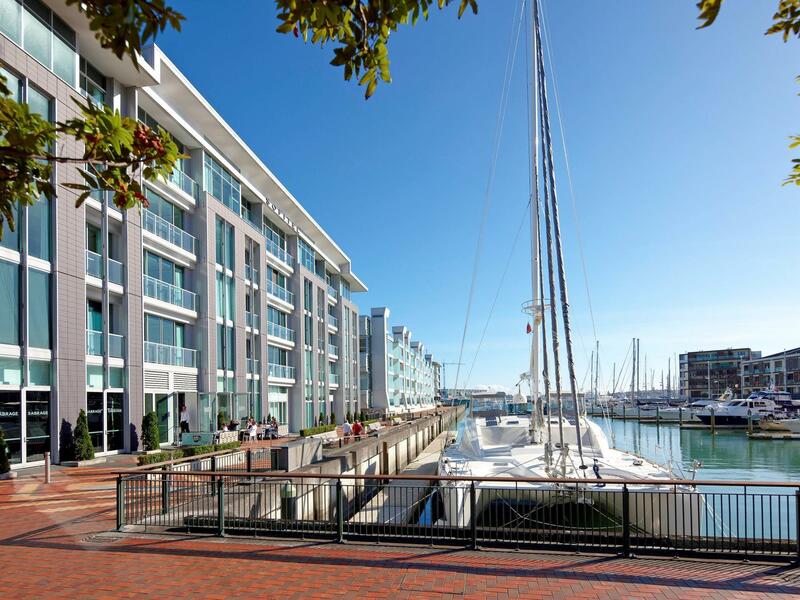 It is a very nice hotel in Viaduct harbour. near restaurants, just a 15 minute walk to the ferry terminal. Staff is very warm and friendly and would answer any questions about where to go or where to eat. i would definitely stay here again. 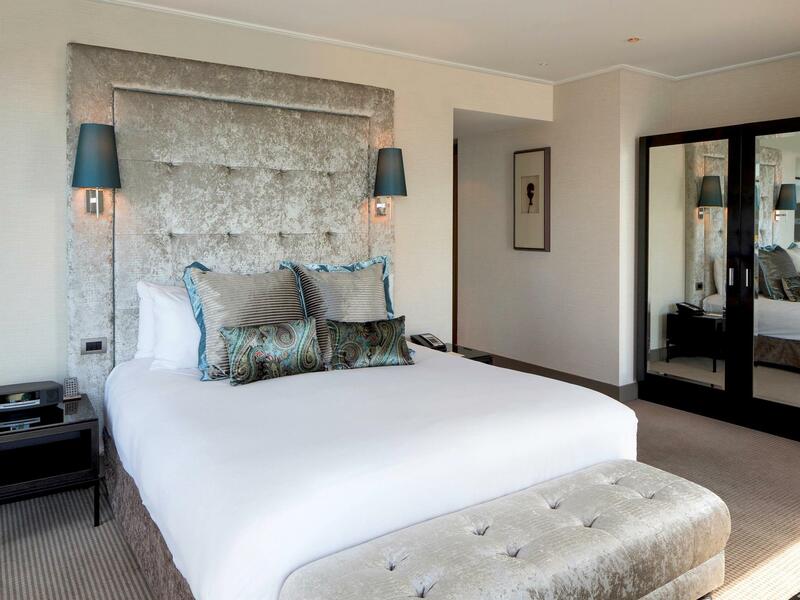 My Sofitel stay was an excellent and exceptional experience. 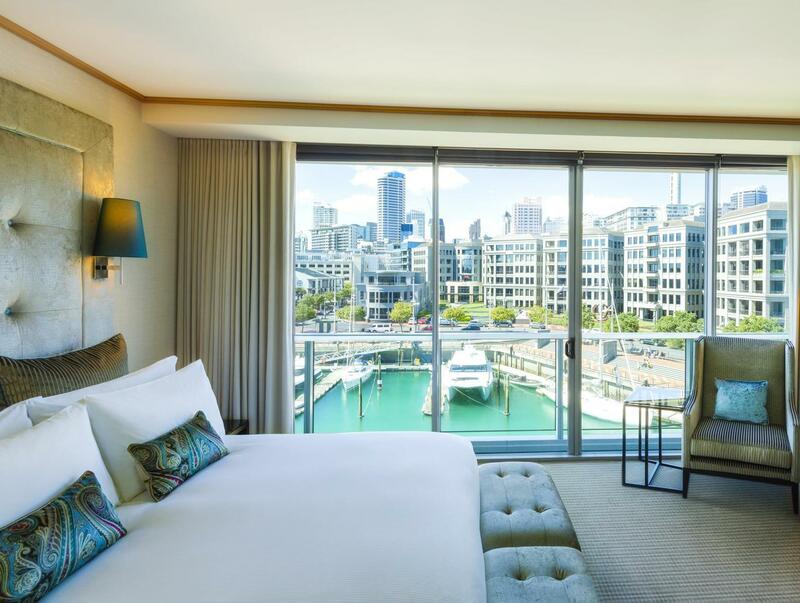 Located on the Viaduct Harbour with waterfront spectacular view, the Sofitel was the perfect sightseeing location in the central business district for getting around and sightseeing. The staff members made my staying and visiting the city a wonderful and enjoyable experience. They were caring and were always willing to assist in any way to make my visit an incredible journey. They have a great restaurants at the hotel. I experienced excellent mornings and evenings dining at the Sofitel restaurant and personalized room service. This unique design of the harbor hotel was truly a great place to stay. 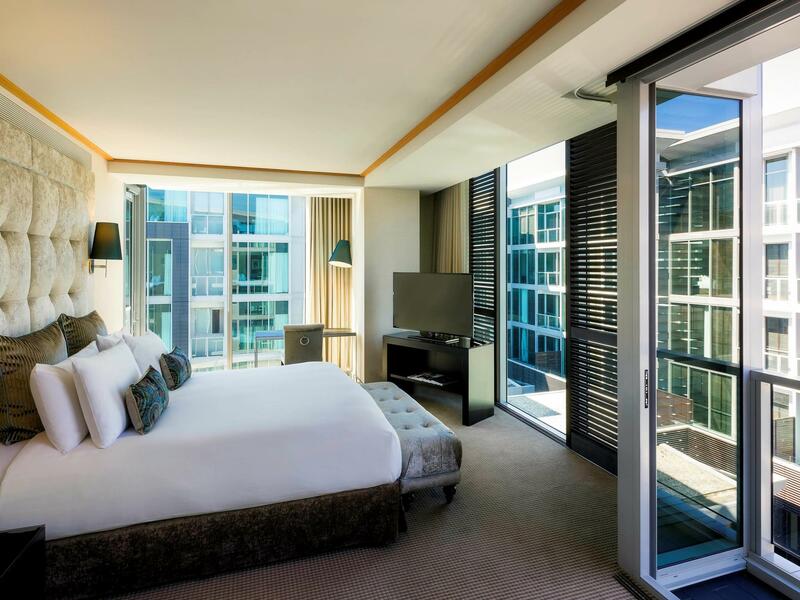 The staff's professionalism and charming greetings, courtesy, politeness and the caring gave me that great travel experience of appreciation for staying at the Sofitel Auckland Viaduct Harbour Hotel. I had a wonderful time and I was very happy with my hotel luxurious room. Excellent Job to Staff! You are the best. Upgraded our room as our original booking faced a bus yard. Negotiated the room price at a bit less than the going rate. Upgraded room was bigger and had a harbour/marina/city view. Good value in relation to some other CBD hotels which we haven't found as nice. A fantastic 5 star hotel, highly recommended, wonderful staff, great rooms and beautifully decorated for Christmas. We will definitely be back again. The Sofitel is a modern hotel in the Harbor. Not all rooms have harbor views though, probably only a minority. My room was next to a construction site. Having arrived at 2am, I needed some rest but was awoken early due to construction noise so asked to be moved to another room the next day which was not a problem for the hotel. Decent breakfast, but it got busy. Good choice for a hotel near CBD, walking distance. A few good bars and restaurants nearby. Due to my itinerary changed, I had to stay in Auckland for an extra night. And I booked a standard room at Sofitel Viaduct via Agoda. The ambience greatly impressed me when I first stepped into the hotel. The hotel room is much better than the photo on the website. 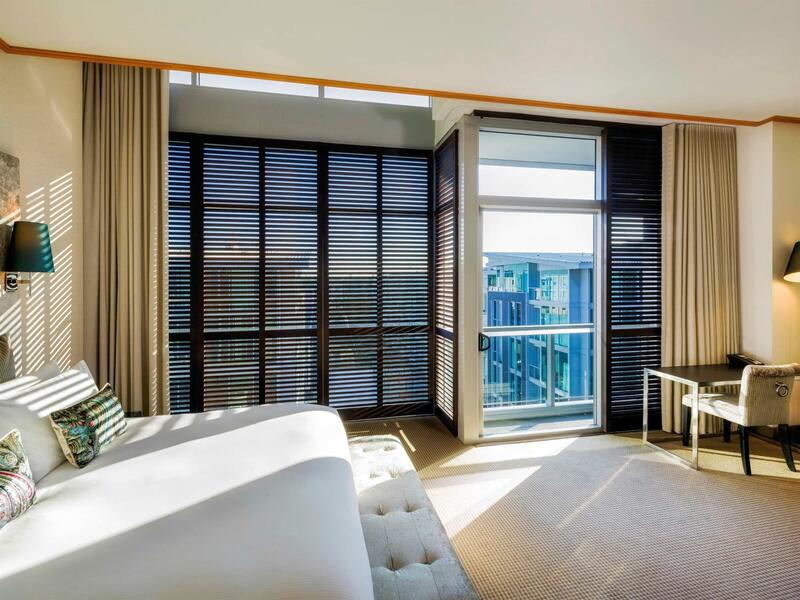 All your needs were catered during your stay; you could make a cup of coffee by yourself with nespresso in your room. Also I was completely spoiled by the in-room dinning service, and a semi- á la carte brekky with harbour view. Though the price is a bit higher than many hotels in town, it's really worthy! I'll enjoy the spa treatment, if I'll stay at Sofitel Viaduct in Auckland next time. Pleasant stay however was disappointed with the allocation of rooms - had senior overseas government people traveling with me and had back facing rooms with absolutely no views. Service needs a bit of a tune up .... rooms not ready until after 3 pm .. then had to go remind the front desk that we needed our bags a 30 minutes later. Apart from that fabulous location near the viaduct harbor and all its bars an restaurants. Rooms were pleasant and the beds super comfortable. Parking is valet parking only so factor that into your budgets as it is an extra. Good international chain however they could do better. Stayed here for one night on arrival from Australia. we had requested and were given a top floor room with great views of the quay and harbour, although on the landside the area around is a bit dull and businessy. The central harbour area with loads of great restaurants and bars is just 5 minutes away on foot, and the downtwon shopping area about 15 minutes. The room was spacious and comfortable, although bizarrely had no phone, so one had to contact the front desk on one's mobile phone. It was also rather irksome to have to pay for internet access although the rate was quite low. Breakfast wasn't included in our rate and I saw no sign of a restaurant in the hotel, but with so many great places to eat right on the water this was not an issue. The Superior room, Atrium View was very spacious and had all the amenities you would expect for a modern 5 star hotel. The downside was the lack of services. No restaurant, no bar, no room service etc. I arrived late in the evening and had to go out for a meal. Room service would have been handy. I understand the hotel is under new management and they were working to have everything back to normal by Christmas. Not much help right now though. It would have been nice to now this at time of booking. The staff were polite and very helpful. Great styling in this hotel and the location is excellent. The valet parking was 35.00, which is so, so. There is no self parking option. Given all the above, I had a pretty good stay. The lower price compensated for the lack of services. New hotel in a nice location but based on stays at other Sofitel hotels this was no better than average. Rooms were fine but the common areas seemed small and cramped. Dining area was so crowded at breakfast that we were seated in the corridor.Service was so slow that I had to go and complain. Location is everything when the weather is not your friend. Easy walk, even in the rain, to multiple restaurants and the harbor. Two male staff members were great; one young female demonstrated age-discrimination behavior. This was our second visit to the Sofitel. Fabulous rooms and we loved the bath and great breakfast in the morning. Modern hotel with professional staff and great facilities. Food was an excellent quality and level of staff in the hotel was 5 star. Very accommodating on my request for later checkout which was greatly appreciated. We enjoyed our short stay here, and would definitely recommend it to friends. It is extremely convenient to the harbor, and it was wonderful walking on wide pedestrian walkways throughout the waterfront. The hotel was very clean, and the staff helpful. We ate in both the coffee shop and the restaurant, and both were great. We came here for our honeymoon. The location near the Viaduct could not have been better. An easy 10 minutes or less walk away from a ton of restaurants, bars, and the ferries to the islands. Couldn't be better. Room was nice, very well upkept, staff was very helpful and pleasant. Our room was not ready when we first checked in (about 15 minutes early) they had us wait literally 5 minutes, and gave us a couple drink tickets for our 'trouble'. Ha, it was five minutes. Concierge was also very helpful and arranged for us a tour of Waiheke Island, even though they were very busy. We were hanging out in the bar, and they came by and dropped off our tickets, and put the charge on our room. Very easy and accommodating. Overall, very nice hotel, great staff, awesome location. Would recommend. Beautiful hotel with great art, good vibes and a lovely spa in the building. My husband and I had a fabulous rare weekend away from our three young children. Our couples massage was great, our bed comfortable, the bath divine. Room service in the morning was generous and delicious. The location is great, only a short stroll to my favourite gym and lots of fab bars and restaurants nearby. We can't wait to return. We arrived at 8am so did not have a room yet, my wife went to their spa/ changing area for a quick wash. Yet, no locker key was given, so she didnt know where to put her belongings and decided to leave. We requested for high floor and arranged to 6/f (Top) which was pretty good. But too bad, no harbour view room (well we didn't book). I believed our Room was the handicapped room cos our bathroom was really big, and indeed it was the same size of the room. Yet, because of the handicapped shower (no door, only curtain), after the two of us showered, the whole toilet was wet......really really slippery. I deeply think there should be more floor mattress or sth to help us. The hardwares can only make Sofitel a 4.5 star, pool, sauna, steam room, all are too tiny. Yet, they have it all.